With the ever increasing reliance on IT infrastructure in modern business, damage from fire would probably cause catastrophic loss of valuable data with potentially devastating consequences on your business. Gas suppression systems help prevent these losses. Clean agent systems use extinguishants which leave no residual material or moisture in the protected space following discharge. With no clean up, business continuity is maintained. The extinguishing agents are non-conductive with no impact on vital electronic equipment and the systems are safe for use in occupied rooms at normal design concentrations. 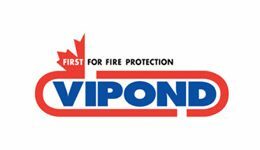 Vipond are an LPS1204 certificated firm under the Loss prevention Certification Board (LPCB). 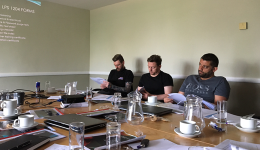 This third party approval provides customers with confidence that Vipond gas suppression systems meet the exacting standards in terms of quality and compliance. Sustainability is an important value for Vipond and we recommend systems that are environmentally friendly including, Inergen which is a blend of naturally occurring gases, and Sapphire, featuring 3MTM NovecTM 1230 fire protection fluid. These systems do not contain greenhouse gases and have essentially no effect on the atmosphere. We also offer the ever popular FM-200® traditionally the most popular halon replacement gas and CO2, ideal for certain industrial applications. Vipond can provide you with a total service from design through to installation and maintenance of gas suppression systems which will not only protect your valuable IT and equally sensitive business plant and equipment but also help safeguard the future of your business and people. We offer design solutions through consultation which provide value-added benefits for our customers. View our listing in the Red Book, click here.